French innovator Pierre Calleja has crafted a stunning lamp that actually does the work of 150 to 200 trees, when it comes to cutting down environmentally-harmful carbon dioxide emissions. 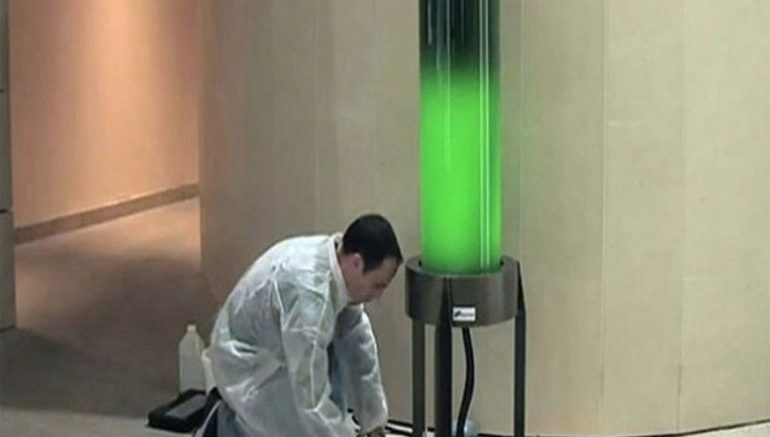 Designed to illuminate streets and parking garages, this ingenious contraption uses zero electricity, running entirely on the energy produced by bioluminescent green microalgae during photosynthesis. These amazing organisms rely on atmospheric CO2 for their survival, thus reducing the amount of the noxious gas currently clogging the air we breathe. According to the designer, the lamp absorbs nearly a ton of carbon dioxide in a single year, which is equivalent to what 150 to 200 trees do in the same time frame. The energy produced during photosynthesis is stored inside the contraption, and later used to illuminate poorly-lit areas in the absence of any external power source. 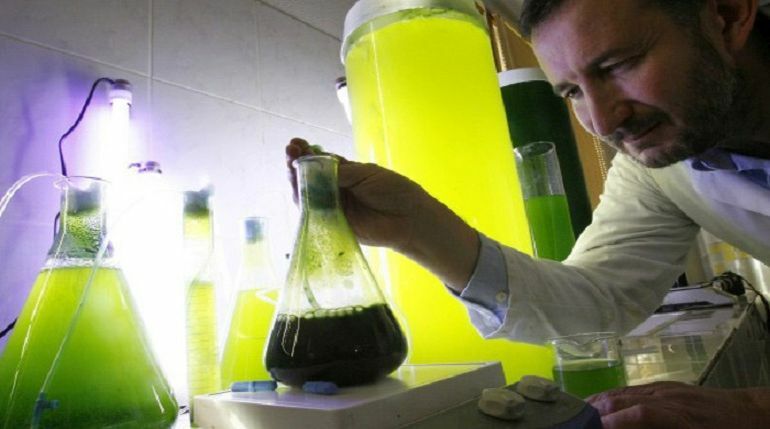 In addition to these eco-friendly lanterns, Calleja and his team at FermentAlg have come up with several other, equally ingenious applications of microalgae, including Omega 3 supplements as well as the base ingredient for a line of natural cosmetics. What’s more, they have developed a technology that harvests biofuel from these microorganisms. To learn more about Fermentalg, head over to the company’s official website.